Miyuki Haruno is Miho's mother and the woman Mashiro Nobuhiro loved. She also loved Nobuhiro but could never say it. She later married someone else. She would watch Superhero Legend with Miho when she was younger. Nobuhiro's hero, in Superhero Legend, is based on their relationship. It is about a hero, Masculine Fantasy, who falls in love with a princess and wants to be the best hero ever. The princess confesses her love to him, he yells at her, then she slaps him and leaves. She wants Mashiro and Takagi to be successful mangaka. 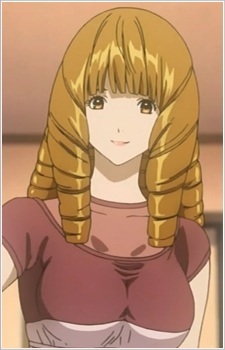 Haruno looks very young despite her age and wears her hair in ringlets. She bears a strong resemblance to her eldest daughter, Miho, especially when Haruno was younger, looking almost exactly like Miho.